Sometimes we have to deal with data loss issues such as factory reset, system crash, upgrade failure, virus attack, etc. for our iPhone, iPad or iPod touch, and in that case, we require the services of a competent iPhone data recovery application. Many people consider Jihosoft to be an ideal solution to cope with this type of problem. In fact, it has been observed that Jihosoft has the ability to get the job done successfully when it comes to retrieving your iPhone data. However, the application also comes with its own drawbacks. While the free version does not offer all the features, the program does not work effectively with the most recent iOS devices out there. In case you are not satisfied with the performance of the Jihosoft iPhone data recovery software, take a look at the top 7 Jihosoft iPhone Data Recovery alternatives below. Joyoshare iPhone Data Recovery, an excellent Jihosoft iPhone Data Recovery alternative, is fully compatible with the latest iPhone XS/XS Max/XR (iOS 12 included). It enables you to preview videos, photos, along with audios instantly in real time and allows you to retrieve as many as 20 file types from different data loss situations like password forgotten, screen smashed, device stolen, iOS update, virus attack, factory reset and so on. Apart from this, you can easily retrieve any missing information from iOS gadgets, iTunes backup, or iCloud backup in a 100% risk-free manner. 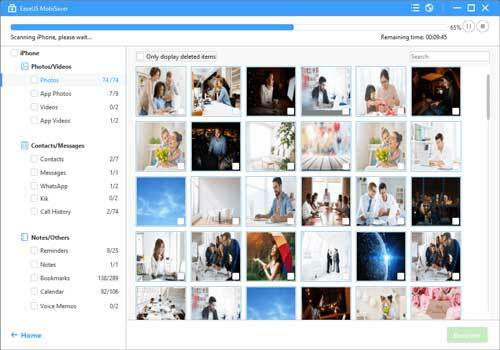 What the most matter is that it scans and analyzes recoverable files at super-fast speed without taking up much storage space as well as shows flexible option to convert HEIC to JPG and save files in .csv/.html format. Being one of the most competitive alternatives to Jihosoft iPhone Data Recovery, FonePaw iPhone Data Recovery has gained immense popularity at present. Similar to any other typical data recovery application, this one likewise has the ability to recover approximately 15 files such as videos, photos, SMS, and so on. 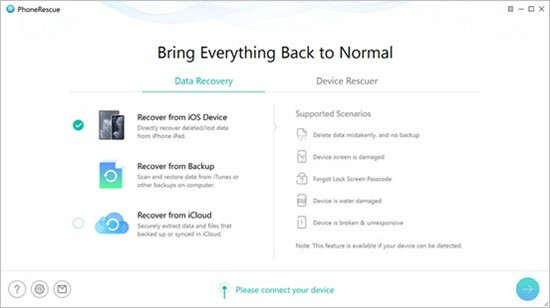 It provides users with the opportunity of as many as 3 recovery modes: recovery from iTunes backup, the iDevice itself or iCloud backup. In this way, FonePaw iPhone Data Recovery aids in restoring any lost information without much effort at all. Moreover, its interface is quite user-friendly and almost anyone can easily navigate it. Tenorshare UltData is yet another competent alternative to Jihosoft iPhone Data Recovery software which will assist you in recovering your lost information directly from iTunes backup, iCloud backup, or iDevice whichever you prefer. It has the ability to support the restoration of as many as 20 file types including contacts, photos, WhatsApp messages, SMS, and so on. You have the option of either retrieving all of your lost information with the help of this application or you can also select definite items according to your own preference. It is compatible with both Windows and Mac computers and also works with the most recent iOS 12 beta version along with almost every other iOS device. Wondershare Dr.Fone happens to be one more effective as well as popular Jihosoft iPhone Data Recovery alternative out there. It has been created to facilitate Apple users to retrieve information or files which they might have lost or deleted accidentally because of virus attack, system crash, iOS update, forgotten password, and so forth. It is not at all difficult to use this outstanding application and you will also be provided with some simple step-by-step guidelines which will help to make the process even easier. All you need will be to connect the gadget to your personal computer, get the device scanned and search for any lost information or file. That's all! 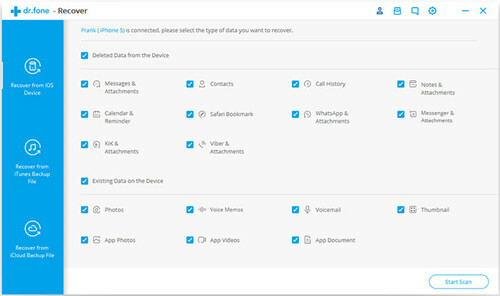 Next, in this comprehensive list of Jihosoft iPhone Data Recovery alternatives, we will mention the awesome EaseUS MobiSaver data recovery software. 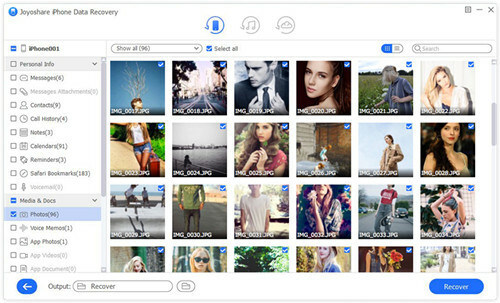 Its popularity is based on the fact that it helps to recover data from iPad, iPod touch or iPhone quite efficiently. Moreover, it can support both Android as well as iOS devices including iPhones. 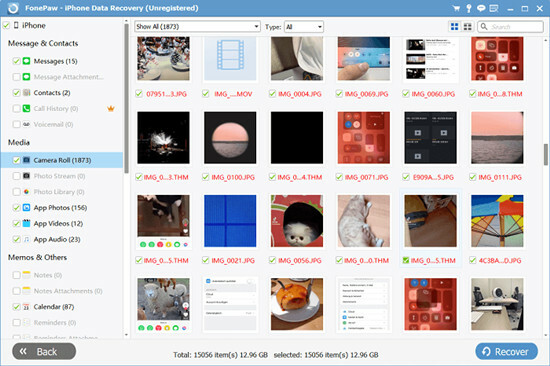 Once the files are retrieved using this application, they have to be transferred to your computer or other similar storage devices. The breathtaking EaseUS MobiSaver can support different types of data formats including VCF, HTML, CSV, and so forth. It will likewise enable you to preview files prior to restoring them. The interface is quite user-friendly and almost anyone can navigate it effortlessly. This astounding and extremely well-known Jihosoft iPhone Data Recovery alternative is yet another remarkable software solution that will enable you to retrieve any deleted or lost file or info on the iOS devices. It can run on both personal computers as well as Macs and has the ability to retrieve files from iTunes besides iOS gadgets. This awesome application is capable of recovering up to 22 file types which includes call log, SMS, videos, photos, contacts, notes, reminders, playlists, music, and so forth. Apart from this, the users will also be able to recover information from their Apple gadgets and then transport those files to their personal computers or even laptops. 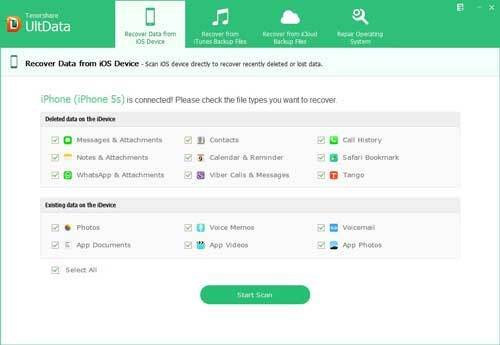 This hugely well-liked application happens to be the last one in this comprehensive list of Jihosoft iPhone Data Recovery alternatives available right now. This cutting-edge program is competent in retrieving lost call log histories and offers a plethora of innovative features. 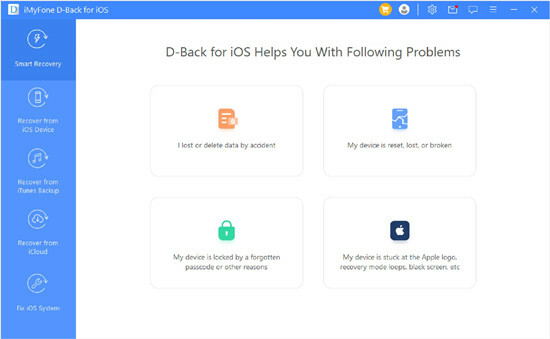 Better yet, iMyFone D-Back also permits you to retrieve deleted or lost iOS files and information smartly as well as quickly. Apart from this, it likewise allows the users to preview all of the information prior to recovering them so that the unnecessary items can be discarded beforehand. In a nutshell, iMyFone D-Back is sufficient enough to live up to the expectations under possible circumstances. After going through the above-mentioned alternatives to Jihosoft iPhone Data Recovery software, it will now be easy for you to select the one according to your own requirements. However, perform adequate research before taking any decision so as to avoid any headaches afterward. Meanwhile, it'll be a great idea to get more information on this particular niche and provide us with some pertinent suggestions as well.